Our clients’ focus is our focus. We strive to exceed expectations on every kiosk project. 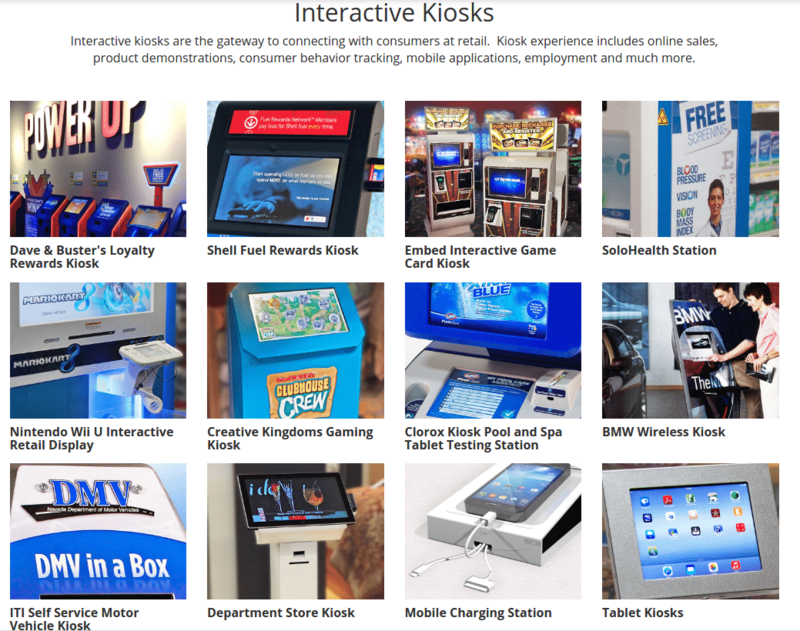 Frank Mayer and Associates, Inc. is an industry leader in the creative design and manufacturing of interactive kiosks, branded in-store merchandising displays and store fixtures for leading consumer product companies and retailers. From design, engineering and prototyping through assembly, program rollout and customer service, we provide an environment of tightly integrated resources allowing for complete kiosk program management and flexibility to achieve your marketing objectives – start to finish. Frank Mayer and Associates, Inc.’s headquarters are based in Grafton, Wisconsin with offices nationwide. New Whitepaper — 2017 promises to be an active one for kiosks and similar self-service devices. A new whitepaper, “Opportunities for Self-Service Technology in 2017”, looks towards the direction self-service kiosks are headed. Developed and published by KioskMarketplace.com, this whitepaper is sponsored by Frank Mayer and Associates, Inc. and can be downloaded here. Contact Frank Mayer and Associates, Inc. about your next kiosk program!